while others were already way up high. I think it would be so much fun to take a ride on one! 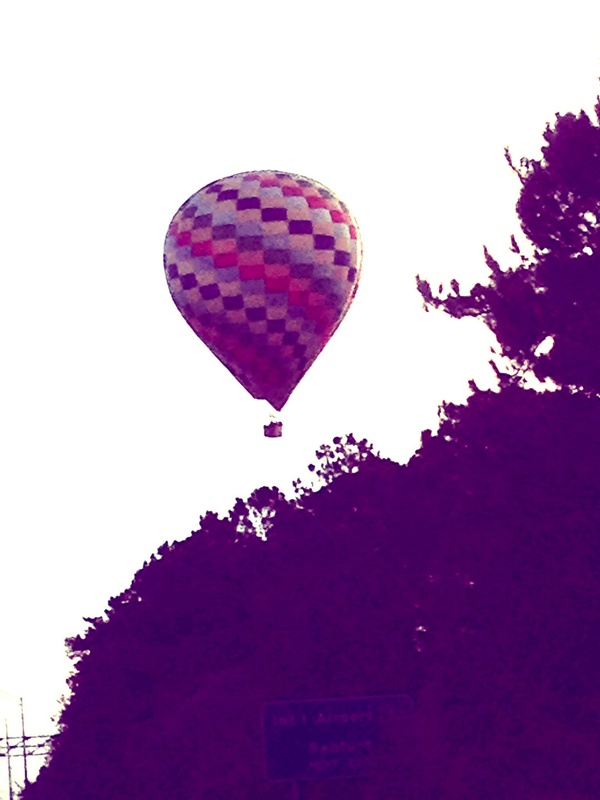 I love to watch the balloons but I would be terrified to go up in one. The are so colorful and look beautiful as they’re all taking off! 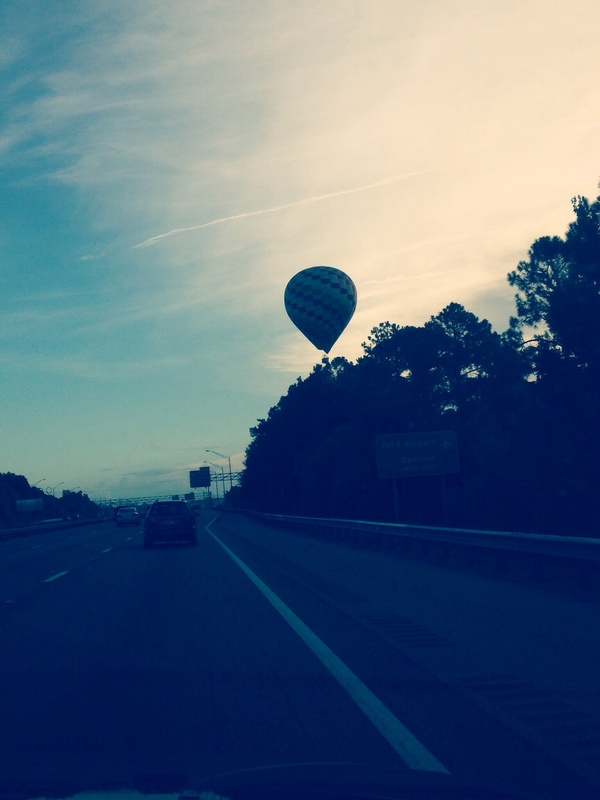 Not your average morning commute – awesome shots! I think Eko would enjoy the ride in one of them! It’s fun to see them… no matter how many times I’ve seen them, they’re always a nice surprise! I’d like to ride in one as well, but I’m not sure about landing… They seem so uncontrollable! But what a lovely sight in the morning! Yes. I’m not a comfortable plane passenger either. I almost always choose another mode of travel if I can. It IS a beautiful sight! 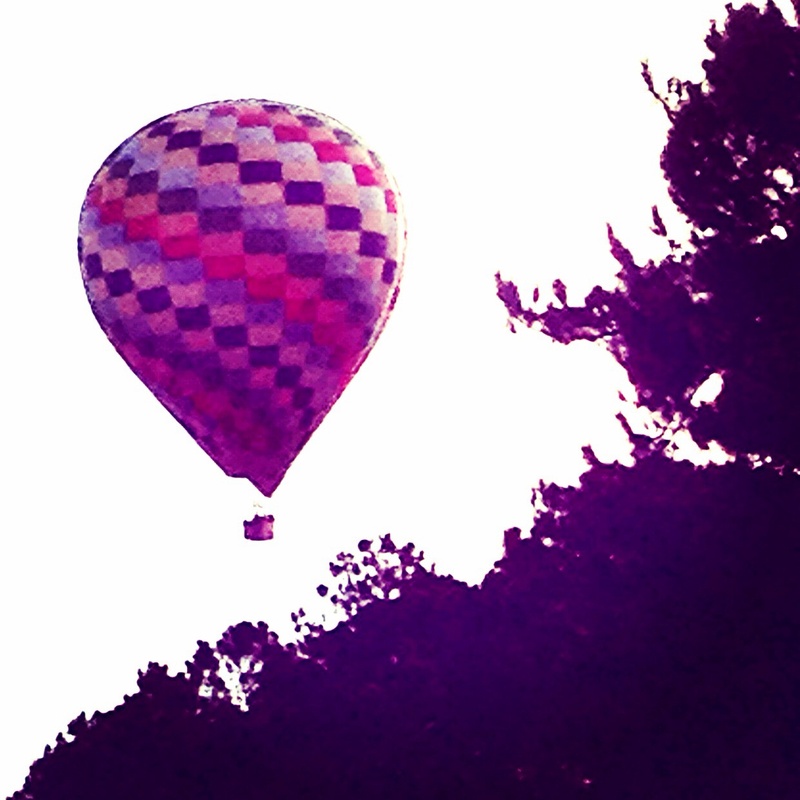 One of these days, I hope to take a ride in one of those big balloons! 🙂 What a great way to start your morning, although I have a feeling it’s pretty early! Haha! Every time I see them, I think to myself… I have to look it up online–when they’re scheduled to go up next so that I can go and take some nice photos. I think it’s probably too expensive for me (I’m such a tightwad, or frugal if you want to make it sound better) to go on a ride. Wow! This must’ve been exciting to see! I think I’ll stay on the ground, though . . . .
It’s funny how there were times when I just loved going on the rides at the local County Fair… now… I’d rather just stand by and watch the kids as they whirl, zoom, flip, and scream… and I wonder… how did I ever do that?! and I have no desire to do it again! Good job Daisy!! I think it’s so hard to take pics from the car– I’ve got lots of blurry car photos of passing landscapes!